Digital print adds a lot of flexibility to your customer’s projects. Digital printing has pretty much taken over the industry, and for good reason. Customers have more options to create the materials they need with digital printing. It’s important to keep in mind, however, that the output for digital prints is quite a bit different from offset printing. In order to ensure document binding is done correctly with digitally printed documents, consider the following tips. 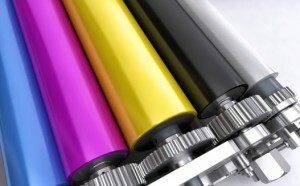 Digital printing involves a lot more color compared to offset. You are dealing with heavy digital ink and toner coverage on coated stocks, so you will want to make sure that your bindery equipment can feed paper easily without touching the toner. The more you can automate short run projects, the more profitable you’ll be. Making sure your equipment is automated and easily operated will make these jobs run faster. If you purchase bindery equipment and finishing machines that can handle both kinds of output, you can use your equipment for both digital and offset production. You may need your equipment to handle the uncollated output of offset and the collated output of digital, for example. Paper substrate with a digital press needs to be handled with extra care during the finishing stage. Paper tends to curl from the heat of the press fuser with digital printing, and there’s more static from the moisture of the substrate. Also, the toner is only set on the surface of the substrate and there are no paper grippers during an image-setting process, so images can be easily scratched off. Accommodate for the change from scoring to creasing. Rotary scoring blades would cause sheet cracks with digital equipment. New creasing machines don’t need to worry about this because they employ a male and female reciprocating die to put the impact crease in the sheet. Digital and offset printing requires different skills from their operators. A good operator should understand which kinds of binding and finishing machines are best suited for handling their output. Digital printing is here to stay, so have your finishing department figure out ahead of time what will be needed for an operation. This entry was posted on Friday, September 9th, 2016	at 1:59 pm	and is filed under Printing tips	. You can follow any responses to this entry through the RSS 2.0	feed. Both comments and pings are currently closed.